Buying a Long Island home can be quite complex. It takes a team, the right team to navigate through all the details to ensure a smooth transaction for all parties involved. Our Long Island Real Estate Team provides you with the experience, dedication and detailed communication skills you need to enjoy a successful and profitable home sale. 1. We are LOCAL Experts - Our up-to-the-minute technology and home buying and selling tools are second to none and will ease the sale of your home from start to close. 2. We Market Extensively - Most real estate buyers (98%) start their search on the internet so a strategic internet marketing plan is essential in the sale of your home. We maximize your exposure, allowing you access to every potential buyer. We want your home to be seen in every search engine! 3. Email Marketing - We leave nothing to chance. We contact every buyer in our network to ensure maximum exposure for your property. We reach the people most interested in your home and develop interest through active promotion. 4. Superior Service - We know that relationship and personal interaction sell homes. As your advocates, we care about you and your home and remain in constant communication throughout the marketing and sale process to make sure your experience is exemplary. 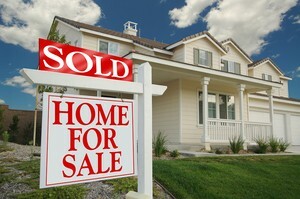 At Long Island Real Estate Today we understand that you need information on buying and selling New York real estate. We study local trends to make sure we have the best information available to you. We provide FREE home pricing reports so you know your home’s value. If you are buying a home, we have the best search engine available in New York! Selling your Long Island home is all about knowing the local housing market and pricing your home correctly. Pricing your home is a very individual process and we can help you determine market trends and match your home to comparable properties. As seasoned agents familiar with Long Island, we can help you make the right choices when it comes to selling your Long Island home. Home prices that are inflated can result in more days on the market and less buyer response, so it's important that your home be priced correctly. Buyers get excited about new listings, so realistic pricing is key to getting people to tour and make offers on your Long Island home, particularly when you first list your home. What Will It Take To Sell Your Long Island Home? Once we’ve set the price, we then showcase and “stage” if necessary your Long Island home to entice buyers. Qualified buyers will be impressed by the simple measures we suggest to dress up your home and feel impressed to make an offer on your home. If your home’s location or design is unique, you'll find that buyers will be intrigued as we showcase these features. Our marketing plan guarantees maximum exposure - through pricing, staging if necessary, agent accessibility, and visibility, both on and offline. Our goal is the successful sale of your home and we will do our best to achieve that and find you the right buyer.